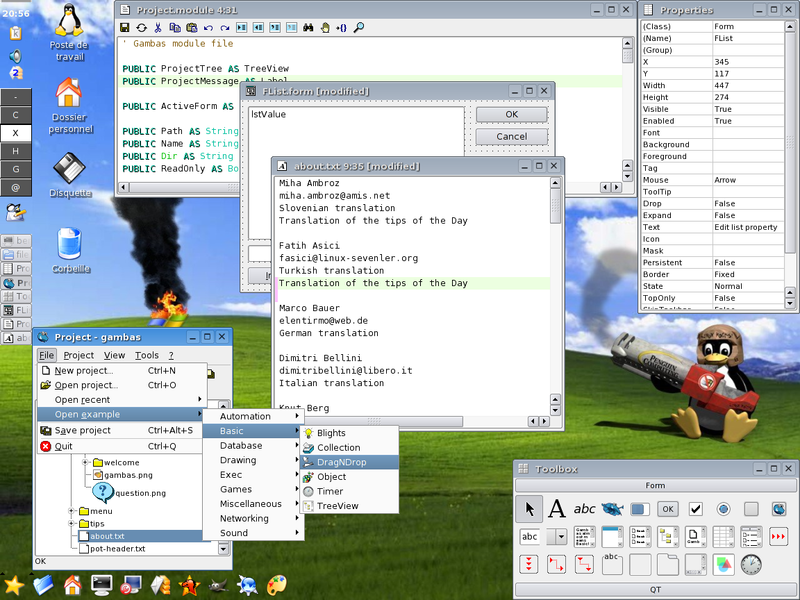 Slashdot is carrying a story on Gambas, a Visual Basic kind of a RAD for Linux. It has entered Release Candidate Phase, and I am dying to test it out. Its altogather a different matter that I don't know VB & have never been comfortable with the idea of a RAD. My younger brother knows VB well, and I am sure he is going to like it. One big difference is that the BASIC code is compiled into bytecode, before being interpreted. And more than anything else, the screenshots feature terrific wallpapers (spoofs on the original Windows XP wallpaper). See this , for an example :- If you know where I can get the wallpapers, do post the link here. I have a tough decision to make today, and I have almost made up my mind. If you had to choose between doing the work you love to do & job security/brand name, what would you choose ? It would be rather obvious choice for most, but I don't have the benefit of retrospect to say so.